Panorama Expose on Citalopram use in Pregnancy. 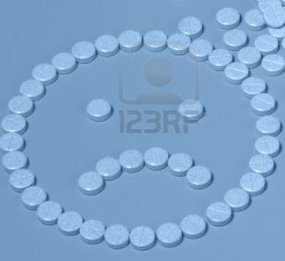 Next week BBC’s Panorama team are tackling the issue of antidepressant use in pregnancy. The programme will be broadcast on Mon 1st july, entitled ‘The Truth About Pills and Pregnancy‘. A manufacturer contacted by the BBC denies any link to major foetal malformations (no prizes for guessing Lundbeck here). Panorama spoke to eight mothers who had babies born with serious heart defects after taking a commonly used SSRI (selective serotonin reuptake inhibitors) antidepressant while pregnant. It seems that Lundbeck are lying again or there is a serious lack of communication between the various medicines regulators and the pharmaceutical industry. Below is an adverse reaction report logged with the Irish Medicines Board involving a baby born with a Cleft Lip, associated with the mother’s use of Citalopram. What about the following, also reported as Citalopram induced? This particular report concerns the intrauterine death of an unborn baby due to ‘Citalopram exposure during pregnancy’. Leonie Right, will I go on because there’s no point, we’re stuck at that one? Anyway. Do you think that it’s advisable to virtually bathe foetuses in Serotonin given it is now accepted this family of drugs are firmly associated with birth defects? Leonie Can it cause harm?….. to unborn babies? Em, why if it can cause harm, is this not clearly, clearly stated on the packaging and information leaflet? The Irish word ‘amadáin’ springs to mind. I could think of a few English ones too but think I’d better refrain. The Panorama programme should be excellent viewing as usual, particularly with Shelley Jofre as reporter. She did the previous expose concerning GSK and Seroxat suicides. I can see her putting Lundbeck in their place. MHRA (UK) adverse reaction reports. Are conflicting studies putting babies lives at risk? How the same study with different conclusions could spell disaster for unborn and newborn babies. Last year (2012) the BMJ published a study from 5 Nordic countries (Denmark, Finland, Iceland, Norway, and Sweden) based on more than 1.6 million infants born after gestational week 33 between 1996-2007. This year (2013) JAMA published a report based on a study from all Nordic countries (Denmark, Finland, Iceland, Norway, and Sweden) at different periods from 1996 through 2007, also based on over 1.6 million births. So it’s a safe bet that the two studies are one. The first study concluded that the risk of persistent pulmonary hypertension of the newborn doubled when the mother was using an SSRI. This year the same study concluded that SSRIs do not increase the risk of infant deaths. Articles, like this one, which stated that “Recent research has cancelled the claims by saying that SSRIs do not pose any sort of risk” are at risk of wrongly giving the impression that these drugs are safe to take in pregnancy. Wrong! Stating that this is ‘recent research’ further gives the impression that this is a recent study, suggesting new findings. Also wrong! What the JAMA study actually found was that women who took an SSRI did have higher rates of stillbirth and infant death than those who did not. Although according to co-author Dr. Olof Stephansson, “this was because of an increased proportion of smokers, older [maternal] age, diabetes and hypertensive disease.” That’s not quite the same as saying ‘SSRIs do not pose any sort of risk’. What the researchers failed to take into account is that SSRIs are in fact linked to increased rates of voluntary terminations. This may be because of the ‘disinhibition’ effect of SSRIs but more importantly, the findings could be due to Nordic women terminating pregnancies with significant birth defects. Similarly, in 2001 a woman wrote to GlaxoSmithKline, asking whether it was possible for her to have a healthy baby while using their drug Paxil (Seroxat). She had previously terminated her first pregnancy after discovering the baby had a serious heart defect (truncus arteriosus), and would likely not survive. Internal GSK documents were found to have stated that this baby’s heart defect was ‘almost certainly linked to Paxil’. 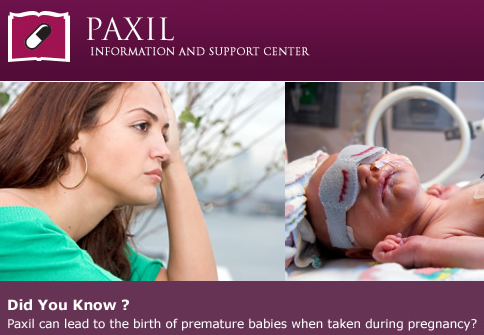 Drug companies including GSK and Lundbeck have had no choice but to admit that Paxil and Celexa can have teratogenic effects, so it begs the question, why are these researchers putting babies lives at risk? 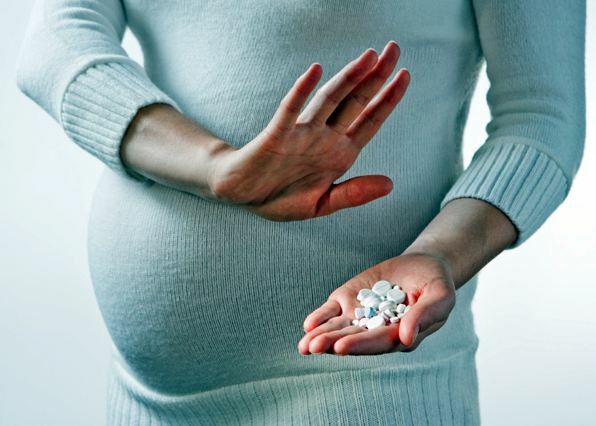 According to Professor David Healy, 1 in 10 pregnant Irish women are on antidepressants, leading to about 40 extra babies with significant birth defects and 200 extra miscarriages each year. So in the last 20 years, antidepressants have caused birth defects in 800 Irish babies and 4000 miscarriages. That’s some discrepancy in the figures! Can any pregnant woman afford to take the risk? There is a very public debate raging in Ireland at the moment regarding the tragic death of a young woman who died while suffering a miscarriage at Galway University Hospital. An estimated two thousand people protested outside Leinster House (Irish Parliment) in memory of Savita Halappanavar, who died of septicaemia as a consequence of the Irish Government’s reluctance/cowardice to legislate in this area. My heart goes out to her family and indeed to the woman and her child. The country is in uproar and rightly so. There was another young woman who also died this year (March) but on this occasion there was no public outcry or no protest outside Leinster House (Irish Parliment). Anna Byrne was Carrying twins (almost full term) when she died by jumping off Howth head. Her inquest was held last week and was reported in the Irish independent (among other more sensationalist newspapers). Given the sensitivities surrounding this case and the fact that the family are (and will always be) grieving, I debated long and hard about writing about Anna. I was away with my family in Berlin when this report came out and Anna was never far from my thoughts; she and her two sons deserved more. The really surprising thing was that the ‘Independent’ reported on the details of this unfortunate woman’s treatment. She was being treated by her doctor and subsequently a psychiatrist. Irish media, in cases where a person has died by suicide (unlike the UK and the US) rarely report on a person’s Inquest due to the fear of ‘copycat suicides’ and ‘social contagion’. There are strict media guidelines with the reporting of these cases; how’s that working in Ireland you might ask? Not too good! Was Anna told that these drugs can, at the very least, double the suicide risk? Was she told that the danger period is upon starting, discontinuing, or changing dosage (up or down)? This woman’s dose was doubled 6 days before her death by psychiatrist John Sheehan. C’mon, join the dots here. Does this woman and her two children not deserve every woman in this country to protest outside government buildings? I looked up the psychiatrist ‘Dr John Sheehan’ and found him here, speaking at a conference supported by Pfizer (makers of Sertraline/Zoloft), Eli Lilly and Jansen. The speakers also included Timothy Dinan of UCC who last year denied any knowledge that Zoloft can cause suicide following Nicolas Maguire’s inquest in May 2011. Mr Maguire died by suicide shortly after being prescribed Zoloft for anxiety. Similar to most psychiatrists and medical professionals who publicly deny problems with these drugs, Timothy does a lot of work for pharmaceutical companies. This, unlike in the US, is not seen as a serious conflict of interest. The body entrusted with the expertise in this area ‘The Irish College of Psychiatry’ (who have collectively denied that antidepressants can cause suicide) will defend their ‘medical model/drugs’ till the end, as in the recent debate with Professor Healy and Professor Veronica O’ Keane here. They will spout that the ‘benefits outweigh the risks’ till they actually convince themselves. This is despite the EMA warnings and despite the fact that the drug companies have admitted that the drugs can cause suicide. Notice the difference in Zoloft’s Patient Information Leaflet from Ireland and the US; Criminal. Given that ex-Seroxat users have declared that the adverse discontuation effects can last for months and sometimes years, the introduction of Sertraline and the subsequent doubling of dosage can all cause a person to act on suicide ideation, it is entirely plausible that the medication caused Anna and her babies’ deaths. Considering Anna is dead, the benefits did not outweigh the risks in this case. Where is the public outcry for Anna and her babies? The Irish Government have been informed by Professor David Healy that these drugs are causing suicide, that these drugs are the leading cause of death within the mental health field and that the same drugs are causing misciarrages and birth defects. At the same meeting Dr Declan Gilsenan said he had serious concerns that more people are taking their own lives as a direct result of seeking help (and subsequently prescribed mind altering drugs), than those who have not. The Government’s inaction on this issue is a bloody disgrace! UPDATE REGARDING SEROXAT; Syracuse, N.Y. — Joe Mazella, Basketball coach, died by suicide in Sept 09 while on Seroxat. His widow, Janice Mazella has just won a $1.6 million medical malpractice verdict on Tuesday Nov. 20, 2012 against two psychiatrists who had treated the coach before he committed suicide. Here. Infants born to mothers who take SSRIs during face more than twice the risk of pulmonary hypertension compared with unexposed infants, research has found. Scandinavian data on 1.6 million infants showed 0.3 per cent of those exposed to an SSRI in late pregnancy developed persistent pulmonary hypertension, compared with 0.12 per cent of those never exposed. Newborns exposed to an SSRI only in early pregnancy had a less marked, but still significant, increased risk, with 0.19 per cent experiencing persistent pulmonary hypertension, the study found. The authors said persistent pulmonary hypertension of the newborn was a rare disease, with an absolute risk as low as 1-2 per 1,000 infants in the general population. “However, as the risk in association with treatment in late pregnancy seems to be more than doubled, we recommend caution when treating pregnant women with SSRIs,” they wrote in the BMJ. The study included data on 11,014 mothers who had filled a prescription for an SSRI during late pregnancy, and 17,053 who filled one during early pregnancy only. Mothers taking SSRIs were generally older and more likely to be smokers than those not on SSRIs.